Today I want to chat about canned food. I feel like I used at least one “can” everytime I made dinner. One of my favorite recipes, my Vegetarian Taco Soup is made up of only canned food. That being said, it’s really important for my family to have a well stocked “cantry” at all times. 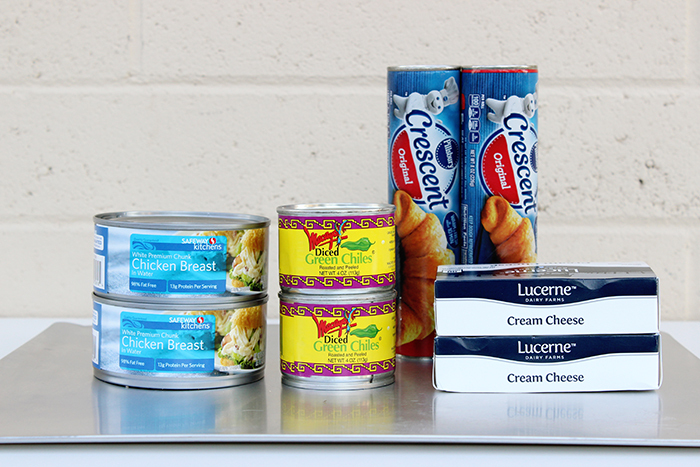 Pantry, cans, cantry. Get it? 😉 Canned food is also fantastic for food storage and emergency preparedness which is something I feel really strongly about. I also just learned that according to recent studies, most Americans throw away approximately 15 – 20% of the fresh fruits and vegetables they purchase every year. I’d sadly admit that our family probably throws away even more than that percentage. Fail! Today we’re teaming up with a fun campaign Cans get you Cooking to create delicious recipes highlighting the freshness and convenience of canned foods. 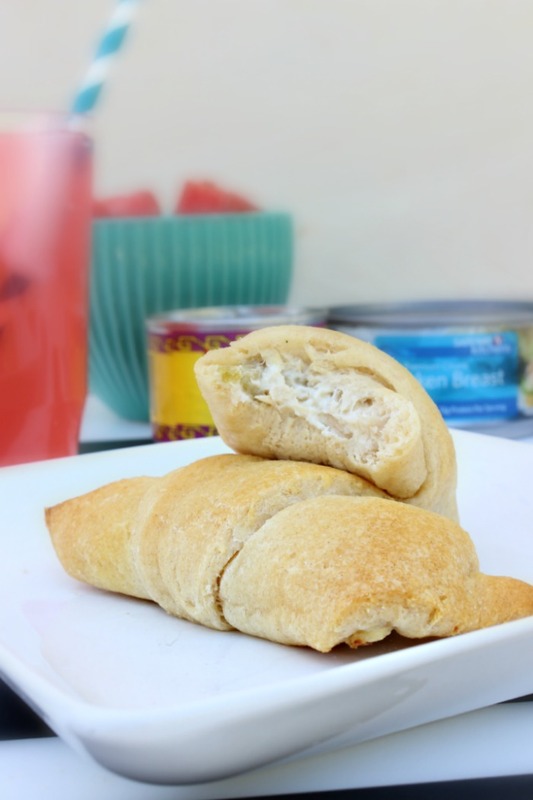 I’m excited to share today’s recipe Green Chili Chicken Pockets, with you because it is one of the most simple, quickly prepared and delicious recipes in our dinner rotation. It is ridiculously simple, my 6 year old could probably make them! I am always up for helpers in the kitchen. 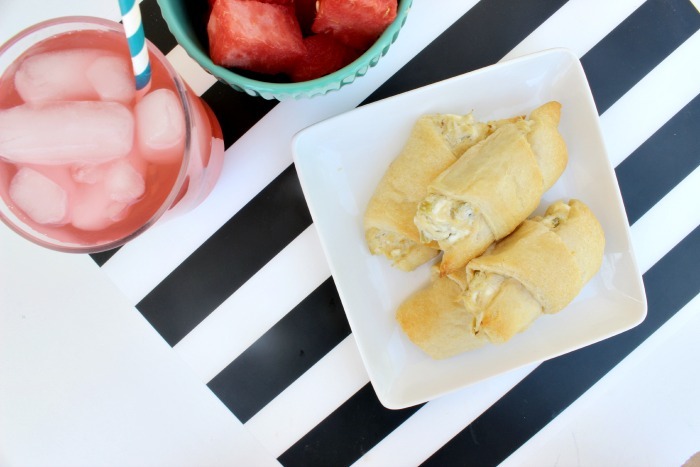 Mix chicken, green chilis and softened cream cheese thoroughly until it has a chicken salad like texture. 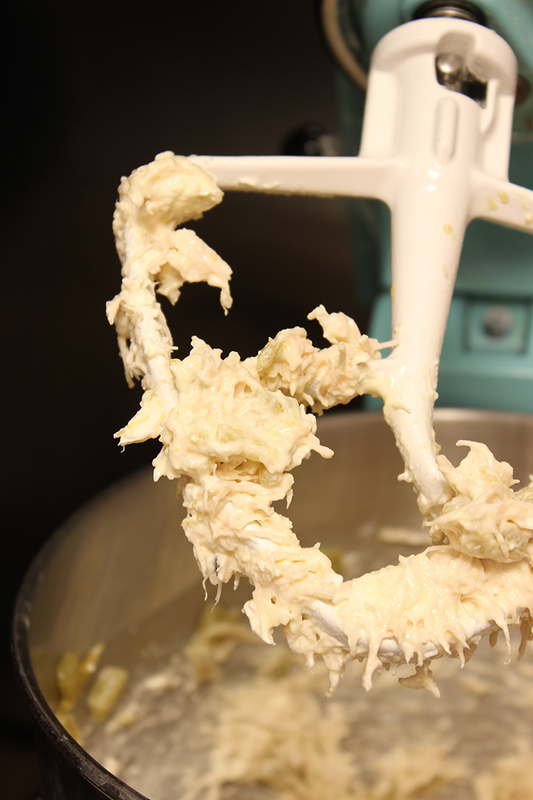 I used my stand mixer but you can easily do this by hand in a large bowl. 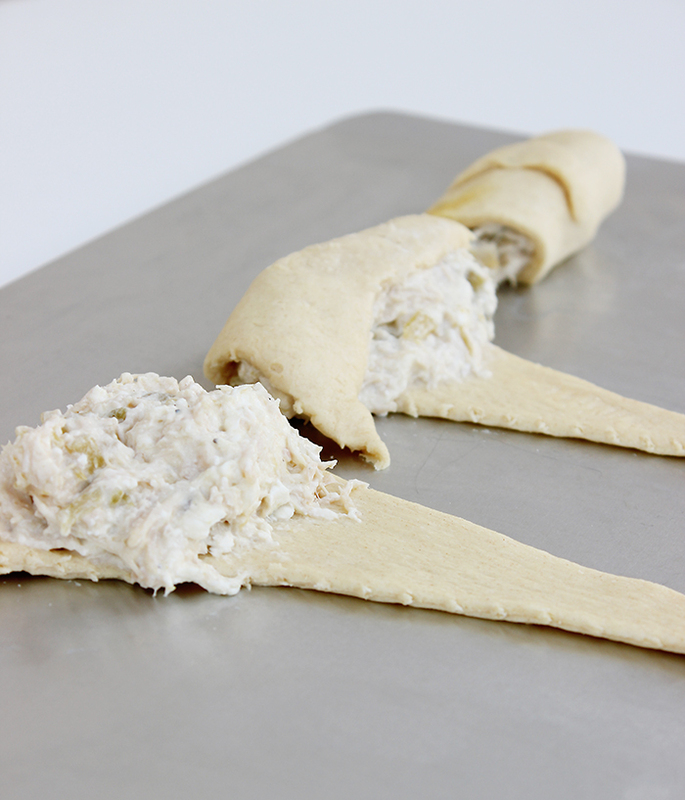 Spoon a 2-3 heaping tablespoons into an unrolled crescent roll. 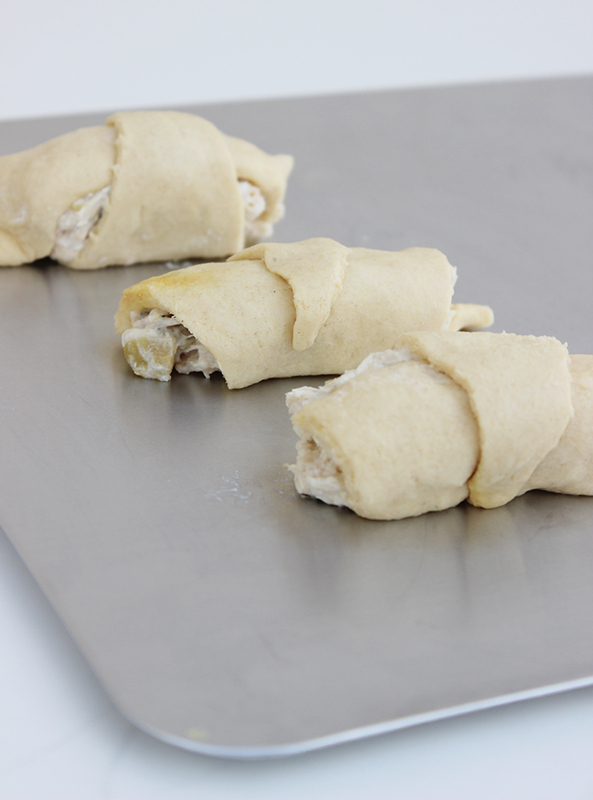 Roll chicken mixture into crescent roll. 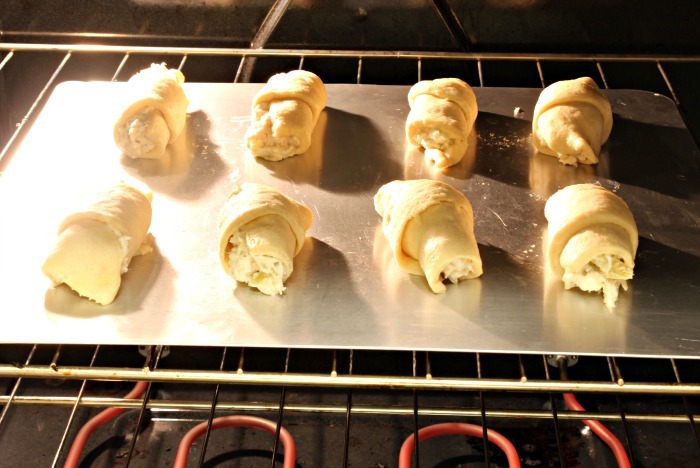 Bake at 350*F for 10-12 minutes until the crescent roll is golden brown. Be sure to check out even more recipes on the Cans get you Cooking website! One of my cooking idols, Kelsey Nixon (I’m even friends with her sister!) has created several amazing recipes on this site so you know they’ll be good! I love it, it looks very tasty, I hope to be eating it in the future. Wow, this looks amazing. I’ve only just recently stumbled across your blog and its amazing!!! Being a food lover I always search for new recipes online. 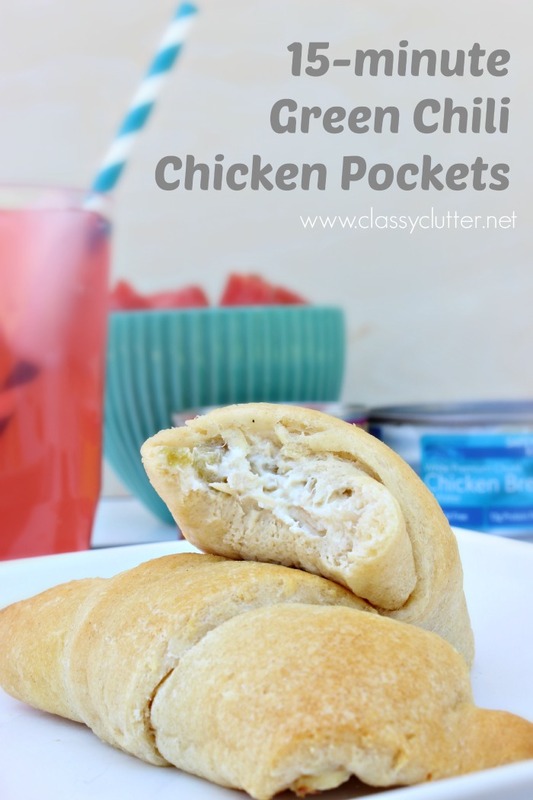 Thanks for your recipe on Green Chili Chicken Pockets. I will try it at home tonight.